My love affair with Star Trek started at a very early age. And like many from my generation it wasn’t actually the original series that drew me in but was in fact a certain bald headed Brit called Patrick Stewart. I was familiar with Kirk, Spock and McCoy and have a vague memory of watching the original series on Saturday mornings, because when I was younger they seemed to be on endless repeat thanks to BBC2. I had certainly watched some of the movies but I cannot remember watching them at the time of the release, I suppose because I was too young. However in 1987 something wonderful happened, it was announced that Star Trek would be coming back to television with a show with the exotic sounding name (at least it was exotic to my 8 year old brain) Star Trek: The Next Generation, and my love affair commenced. I avidly watched TNG and my favourite characters were Data, Picard and yes I’m sorry Wesley Crusher. The first ever episode even included a cameo by Doctor McCoy himself. From age 8 until the present day I was hooked, the adventures of Picard and co made me re-visit the original series and all the movies, really getting to know Kirk and crew. At school my friend and I used to constantly re-enact the famous scene from Wrath of Khan where Spock dies. When I first watched that scene (the internet didn’t exist so I watched it spoiler free) I cried and genuinely thought that Spock had died, I was heartbroken, it still brings a tear to my eye. Then in 1991 Undiscovered Country was released and for a brief shining moment, Picard and Kirk existed simultaneously with the Next Gen on TV and the original crew still alive and kicking (just about) in the cinematic universe. I have continued to follow all things Trek and although I dabbled with Deep Space Nine, Voyager and really enjoyed Enterprise (there I said it) it is the original series and the Next Generation where my heart really belongs. I thought Star Trek (2009) was brilliant and Into Darkness a solid action flick and I am intrigued as to where the franchise will go next but it is the characters that I am in love with. 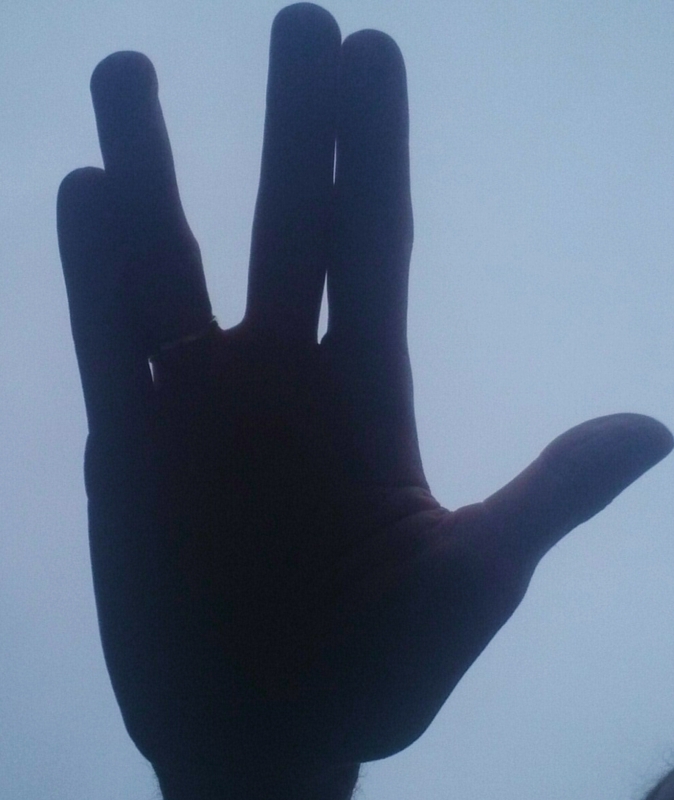 McCoy and Spock in particular, and it is the stories in the rich and vast universe of Trek that keep me invested in Star Trek and keep me championing the pioneering spirit of the Federation. 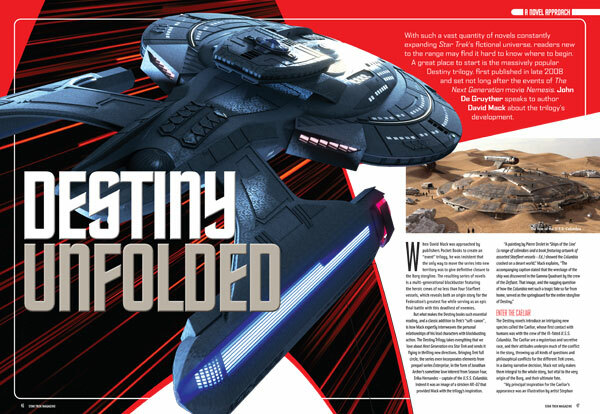 It has therefore been my great honour to be able to contribute my tiny part of Trek history by writing for Star Trek Magazine. 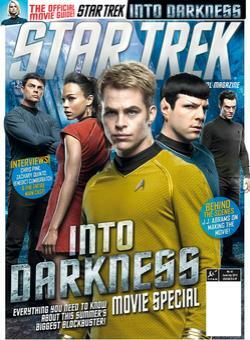 My regular contribution to the magazine has been “A Novel Approach” a column that delves into the expanded universe of the Star Trek novels. I have been fortunate enough to speak with some great authors (including several New York Times Bestsellers) who have given me a behind the scenes glimpse into how these novels are created and how they keep finding new ways to deepen our love for our favourite characters. 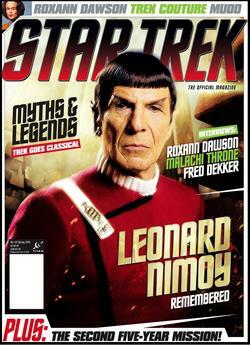 My intention is for this page to act as a guide and news feed so you can find out about my latest assignments in the Star Trek universe, find out where to order the latest issues and to ask me any questions. Peace and Long Life. Coming up in 2018 – Is there a Doctor in the house? I look at the ongoing adventures of Doctors Crusher and McCoy. TM ® & © 2015 CBS Studios Inc. © 2015 Paramount Pictures Corporation. STAR TREK and related marks are trademarks of CBS Studios Inc. All Rights Reserved. It took me a long time to watch the reboot, a couple of years. I love TOS and during TNG I met my husband and got married. He’s the real fan. I was like, you can’t beat them, join them. I don’t love Voyager, but I adore Janeway, and I like Harry Kim, and wish he got more to do. I love Beverly and Deanna both for their empathetic bedside manner, but especially when they got to break out and show that they were also trained in Starfleet. Bev was great in First Contact, and also in that episode where she got caught up in Wes’s experiment and was alone on the ship. I like long answers. Great comments thank you. And I agree Q rules! One of my next articles is about the great omnipotent being. I was the agent who sold the first ST: TNG “Barcley” episode, HOLLOW PURSUITS. Later, I sold another, and came up with a DS-9 idea of my own, wrote it up, and submitted it. It was in the loop for consideration when the show was canceled. The episode was titled, MUSCLE, and told the story of how three Ferengi females, members of Ferengi organized crime, show up on DS-9, dressed to the “nines” (because nobody messes with the mob) and attempt to muscle Quark out of his casino. And then the Grand Nagus shows up. Not to mention a bunch of Nausicaans. It was, of course, a comedy. If anyone wants to read it, let me know. This is fantastic, thanks for sharing. Would you be up for an interview for a blog I write for a science fiction website? Sure. I’m no longer a literary agent, but I am still writing, and I have a blog on writing and films at http://www.thelastreveal.blogspot.com.